At the end of the test, you may have had your driving instructor in the back but taking no part in the test. If not, you can call them over before you receive the feedback and result to your test. The purpose for this is that they can listen to the result and the feedback that you received during the course of the test. The examiner will then tell you how you performed (pass or fail) and then explain why they have come to that decision. If you fail the test, they will tell you the feedback as to what you should do to prepare for the next test and any particular areas that need attention (most likely you had at least one serious fault to correct before the next test) although you could have failed for 16 or more minor errors. You must leave a gap of ten working days before tests, so this does mean that you can have a couple more lessons to work on the areas you failed in before taking another test. Hopefully you will pass next time! If you do pass the test, then congratulations! Depending when you received your provisional license, you can either have the full license issued automatically, or choose not to use that service. 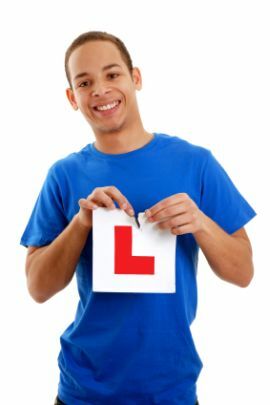 If you had a provisional license issued before 1st March 2004, you will get a pass certificate from the examiner, which tells you what to do: essentially send your licence and fee to the DVLA who then issue you with a full driving licence.